Join the #HasbroSummerFun Twitter Party on May 20th! Are you ready to talk about summer fun? School will be out soon and I’ll be looking for ways to keep the kids busy. 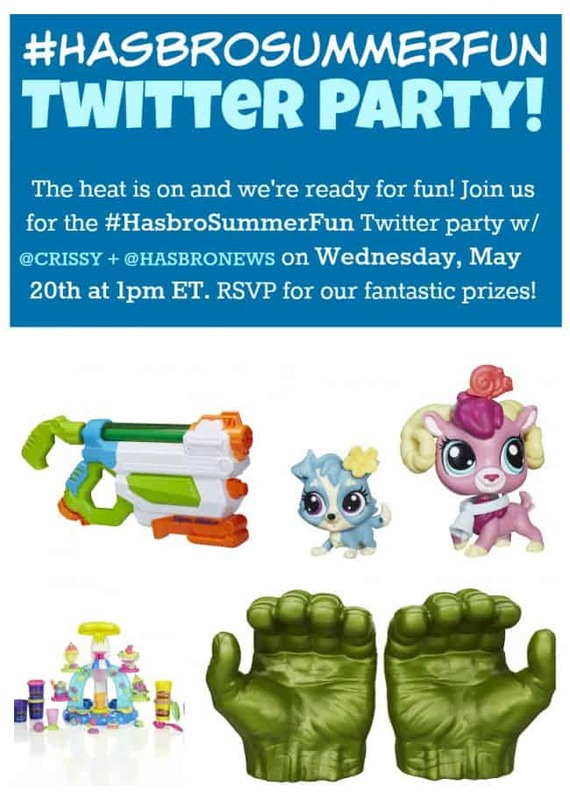 Dear Crissy and Hasbro are hosting the #HasbroSummerFun Twitter Party on May 20th where we’ll be chatting about your favourite ways to enjoy summer and also sharing the latest toys and games from Hasbro! Join the #HasbroSummerFun Twitter Party on May 20 at 1pm EST to chat about how to make this summer the best ever! Six prize packs will be given away during the party plus one GRAND PRIZE pack! Prize Pack 1: Playskool Roll N’ Gears Car and Playskool Super Hero Adventures: 4-in-1 Helicarrier Playset. Prize Pack 2: Littlest Pet Shop Pet Pawsabilities and Twister Moves Skip-It. Prize Pack 3: Jurassic World Chomping Dino Head, Marvel’s Avengers: Age of Ultron Hulk Gamma Grip Fists and Are you Smarter Than A 5th Grader Board Game. Prize Pack 4: Play-Doh Swirl and Scoop Icecream and Littlest Pet Shop Pet Pawsablities. Prize Pack 5: Nerf Super Soaker Floodfire Water Blaster and Twister Moves Skip-It. Prize Pack 6: Jurassic World Chomping Dino Head and Nerf Super Soaker Floodfire Water Blaster. 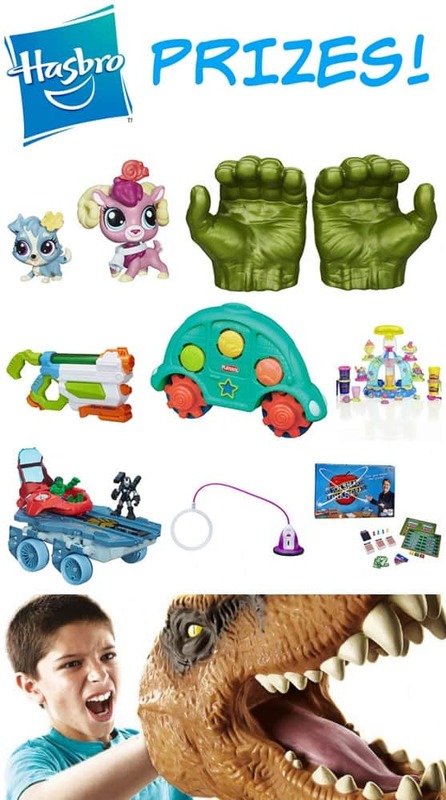 GRAND PRIZE: Twister Moves Skip it, Playskool Hero Adventures: 4-in-1 Helicarrier, Marvel’s Avengers: Age of Ultron Hulk Gamma Grip Fists, Play-Doh Swirl and Scoop Ice Cream and Are you Smarter Than A 5th Grader Board game.